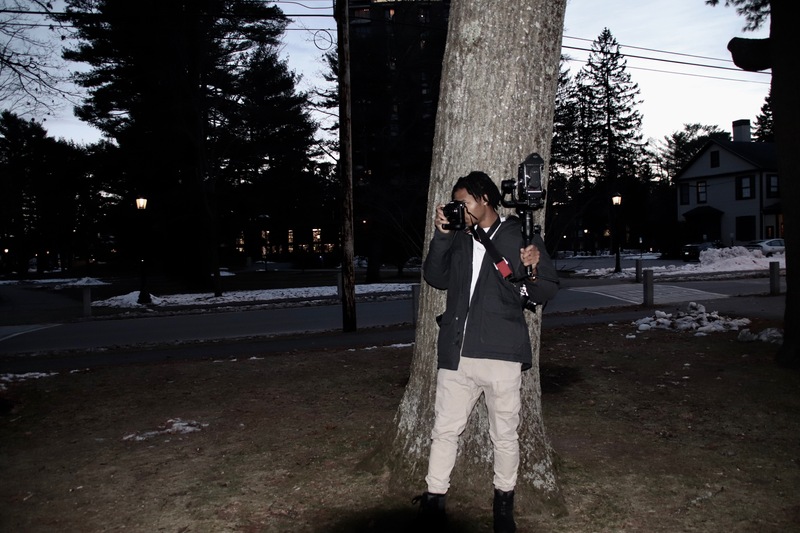 LENS FLARE: Darius Riley ’19 positions himself as the people’s photographer, creating community and fostering connections with his art. 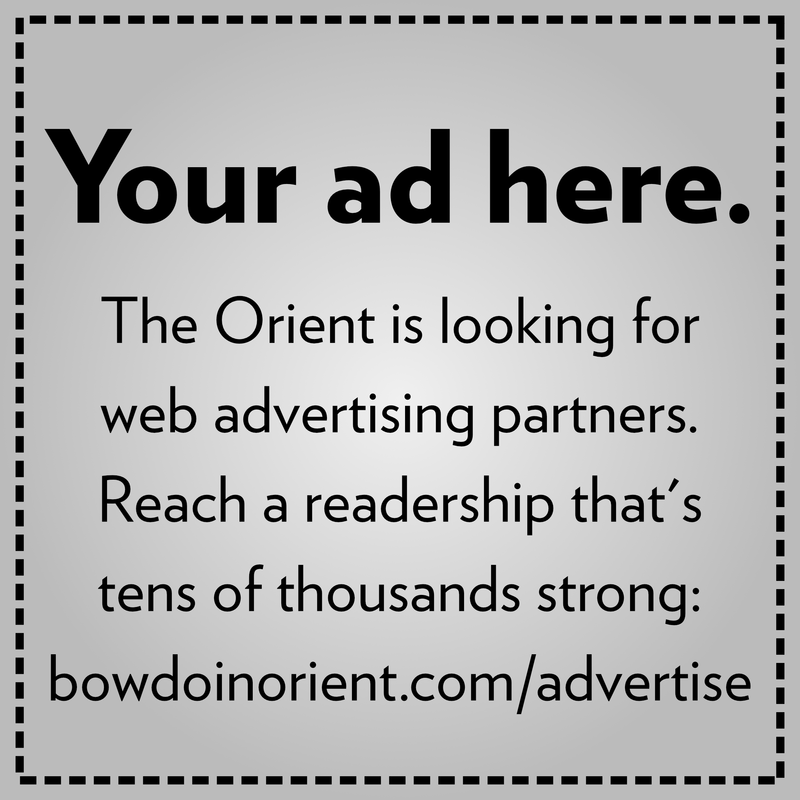 He also co-founded Bowdoin’s fashion magazine Avant-Garb. Darius Riley is a senior visual arts major and photographer from East Palo Alto, California, who also co-founded Bowdoin’s creative and fashion magazine, Avant-Garb Magazine. 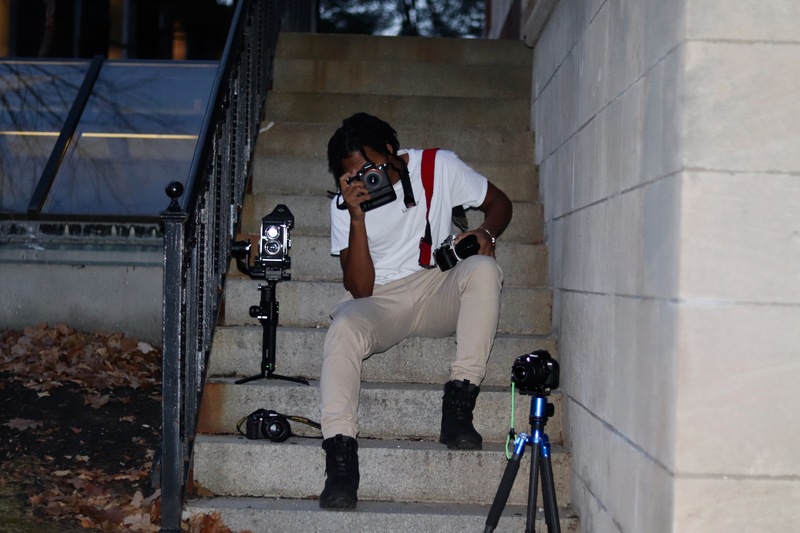 Darius Riley ’19: I’m the people’s photographer. That’s the focus of my photography. I’ve been struggling to run towards it because I’m so tempted by everything and I have the ability to connect to people. I want to use that for my art, which I do use for my photography. I take pictures for the people. 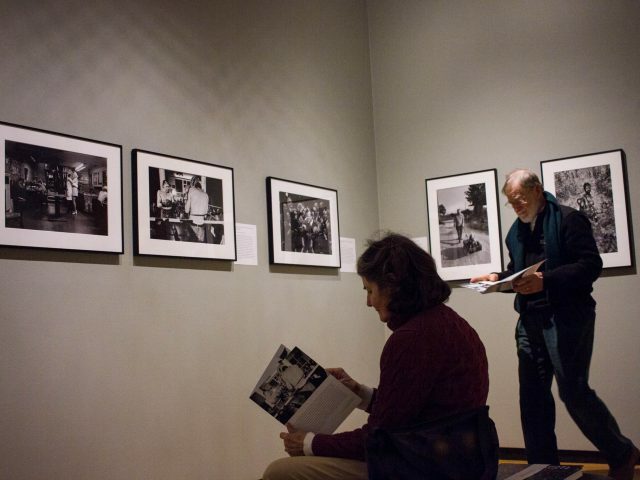 Q: How has coming to Bowdoin shaped your photography? A: I really started taking pictures on campus through Leadership Training with the Outing Club; I would bring my camera as a new photographer to these trips. I got here freshman year, and there was a super senior [Kevonté Anderson ’15] who invited me to help him with his honors project, making a documentary of the 20th anniversary of the Million Man March in Washington, D.C. I didn’t know how anything worked, but when we got out there to D.C. everything started clicking. That right there is what caught me, capturing all these different perspectives on camera with video and photography. Two months later, I ended up buying my first camera, and it’s been a game-changer. A: I love photography and videography, but more than anything those two mediums only taught me that I’m capable of getting really good and excelling at something. I also love doing Photoshop and compositing images, which may not be any of my pictures. Photography is my craft, but I wanna do much more: I wanna draw, paint, do computer science, etc. Q: What are your favorite themes/subjects to cover? Q: What’s it like working with clients and balancing your craft when collaboration comes into play? A: It’s dangerous! I need money! It’s hard when there’s an opportunity to shoot a video, make money and then invest in myself and my education. That’s me using my camera, but also taking time away from me using my camera for a class or my own creative stuff. I border the commercial and creative elements. I’m trying to find the balance between the two, which is very hard. Q: Who are your favorite artists and biggest inspirations in your craft? A: Henri Cartier Bresson: a French photographer from the early 1900s who was the people’s photographer, the best ever at capturing the momen. I aspire to capture moments like he did. And Gordon Parks, a black photographer from the 1940s, is one of my favorite photographers of all time. He was also a people’s photographer, capturing black people. That’s what I wanna be when I grow up. 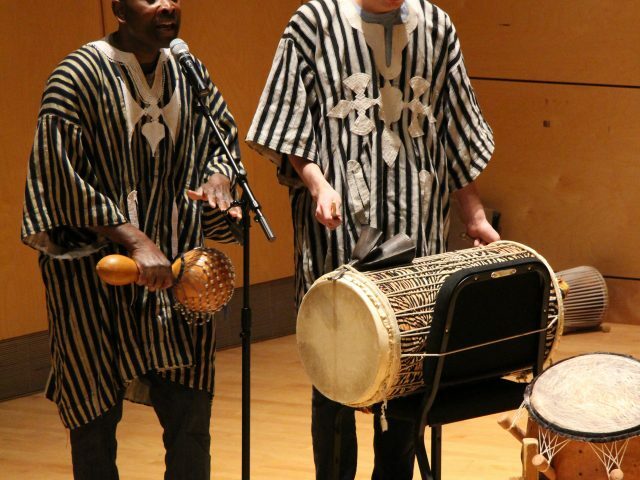 Q: What was the motive behind creating Avant-Garb? 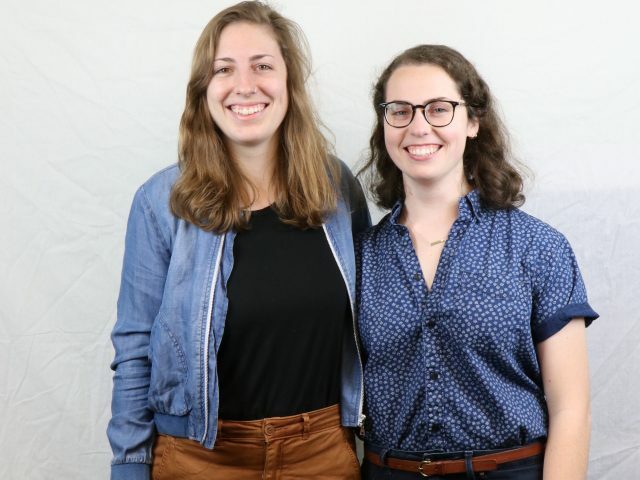 A: We decided to create something where we could build a community around fashion, but more than anything, I felt like Bowdoin didn’t have many outlets for students with creativity unless they were in visual arts or for students who wanted to learn hard skills like Photoshop. I figured, ‘Hey if I start this club, I can teach people how to take pictures and use different software.’ And we also get a product out of it that we can share with the school, so really I wanted to use my creativity to foster other people’s creativity like what was done for me. 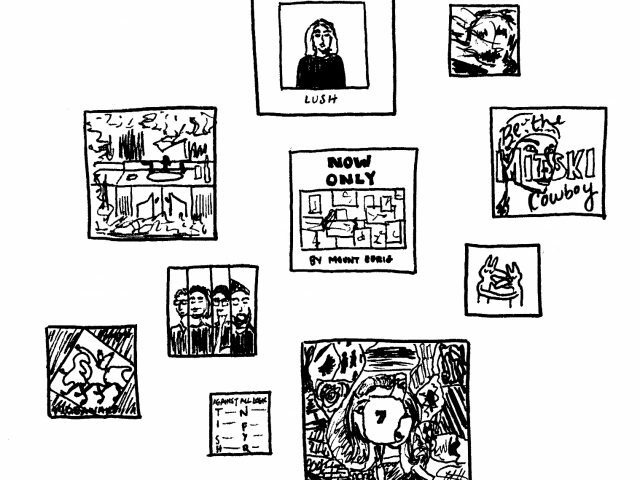 Q: Can you tell me about the title “Hour Voyses,” which is the name of your portfolio and Instagram account? A: I was heavily influenced by Humans of New York. Something about “hour.” I was feeling the urge deep down of being a peoples’ photographer in me … so I wanted that to be representative in the name. And “voyses:” “voy,” in Spanish, means “to go.” I go to the people, that’s the feeling I was getting at, for the people. The reference to time is me capturing the people over time, and “voyses” is representative of peoples’ voices. Go follow me on IG @hourvoyses.